SoberCare is a remote alcohol monitoring programme which helps people in early recovery to manage their sobriety. Participants use a mobile breathalyser to keep track of their recovery. 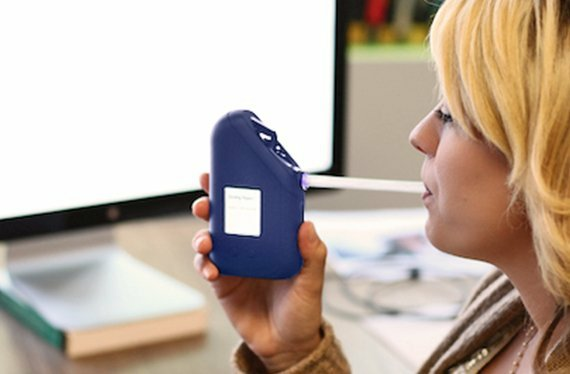 During the breath test, the SoberCare device takes a picture using an inbuilt camera to confirm the user’s identity. The photograph and the results are wirelessly transmitted to a monitoring centre for verification and confirmation of a negative result. The programme keeps its users on track via a system of alerts. Should signs of a relapse occur, such as a missed or positive test, then a pre-agreed set of contacts are notified. Users of this device also receive real-time alerts in case a test is about to be missed, and results are summarised in a weekly report. SoberCare is designed to allow users to support themselves via accountability. SoberCare can be especially helpful to individuals whose personal and work relationships have been weakened due to their addiction, and are now seeking to rebuild trust. Castle Craig makes SoberCare available to its patients leaving treatment, who opt into this monitoring programme. For more information you can speak to a member of our treatment team here.